Hand dyed SW Merino Wool Bulky yarn for your most beautiful knitting and crocheting projects. 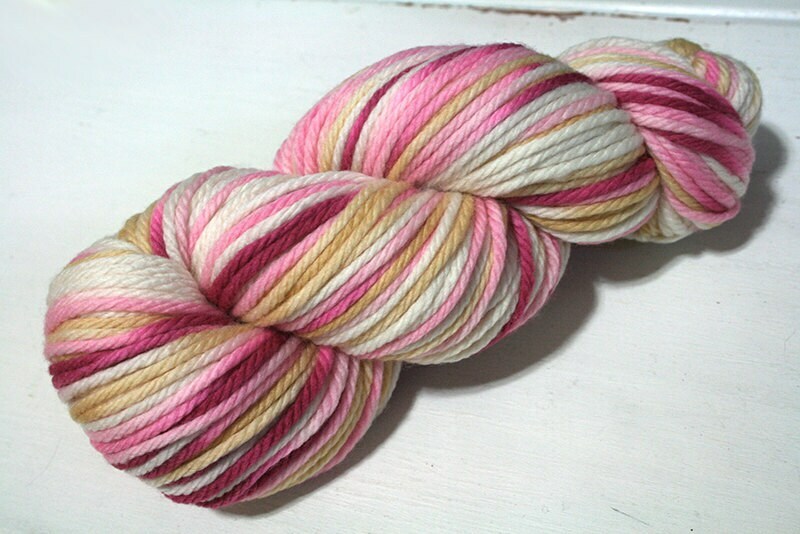 This hand painted, variegated yarn will give your creations a fun, multicolored look. Boo, You Whore is a combination of blonde, raspberry and carnation pinks, and natural cream. It was inspired by the movie character Regina George from the movie Mean Girls.